In the photo, Tartine of thinly sliced Salmon Sashimi, rolled over Wasabi and Ginger Cream Cheese. At the back, Tuna Sashimi with Lemon Cream on bread strips. Caesar Salad in Parmesan Tuile Cup. Beetroot jelly with Goats’ Cheese & Black Olive. When we think home entertaining we mostly think fussy! We fuss about what to cook, how to serve, what drinks… we also fuss about how it will all be received, how talented we will appear, how impressive we are to our friends, how we could be criticised… we fuss and fuss and then fuss some more! Most would agree that they like to entertain at home, however, most would also tell you that sometimes it becomes so much hard work and drama that by the time the guests arrive, they have become too tired to actually enjoy! That all they want is for everyone to leave so they can go to sleep! While that can be one scenario to your evening with friends, it really does not have to be one! 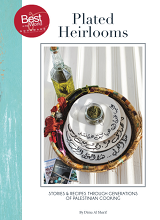 There are ways to entertain elegantly and with good style, without the fuss, and without the hard work! In fact, you will enjoy every second of it, maybe even sneak a few bites and have a drink while putting together a mouth watering variety of food for you and your guests to enjoy! Sounds like the party starts before the bell rings! Not only that, but with this kind of food, you will encourage your guests to be social, interact, and even give them something to talk about! That’s what I like! Fast Yet Elegant Home Entertaining! Sandwiches are everyone’s very old friends. Who does not like to tuck into a sandwich? I actually prefer a good healthy sandwich for lunch over a heavy cooked meal! Sandwiches are easy to pick up and bite into. They offer a variety of flavours and textures, and are delicious. Just because a food type is very familiar that does not mean it is no good for entertaining nor does it necessarily mean that it can’t be impressive! Sandwiches are in fact a very good option when entertaining, especially when you are busy and have just a few hours to shake your magic wand before your guests arrive. All you need to do is spend 30 minutes at the supermarket and an hour preparing the food, 30 minutes of glamming up and you are ready to go lol !! 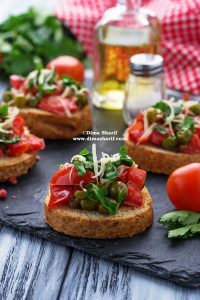 Tartines are open faced sandwiches that can either be large sandwiches sliced into smaller portions or mini open faced sandwiches. I like tartines. Yes, because I can see what I am eating, but mostly because tartines allow me to present the sandwich elegantly. Being open faced, you can play with the presentation, and can even go the length of creating shapes with the toppers, like a strip of smoked salmon shaped as a flower and the likes. Mini Tartines are very similar to canapes, in fact many canapes are technically mini tartines! Canapes are stereotypical of posh entertaining, elegant presentation and known to be a canvas for the creative chef to design beautiful, complete, and all rounded goodness in one bite. So is a tartine. However, it can be more of two bites instead of just one offering more to the greedy palate! Depending on the ingredients, how you prepare them, pair them and finally present them; your tartine can look very elegant – like the Tuna Sashimi in the photo above – or you can go for a more casual look – like in the Roast Beef tartines in the photo to the right. Both options are fast to prepare, easy to make, and delicious. The only difference lies in the choice of ingredients and way of presentation. Be creative, just because it is a sandwich does not mean it has to be boring. Try different breads, a variety of ingredients, go for new combinations. Think outside the box or reassemble the box, if you must, to make it more interesting. Think of the eating experience as you design your tartine. Offer a variety of flavours, textures and presentations. Use vegetables to bring in freshness to your tartine. Remember, a little bit of crunch always goes a long way! Don’t go too high with your creation, no one can open their mouth that wide. Add sauce but not overly, no one wants drippings on their favourite shirt. Pair the tartine with the right drink and the experience is complete. Secure everything in place with a tiny skewer (there are many elegant skewers out there, but toothpicks also work if your are being casual). You can serve the tartines in tiered platters, offering different varieties in each tier. Place these platters all around the room, and your guests can help themselves and pick the varieties they like, while they still mingle. Those are the classic options, but be creative and come up with unusual combinations, that is how your food becomes interesting, and that is your ground for impressing your guests and pleasing their palates. are just as good as tartines. While rolls don’t offer much choice in presentation, they are still amazing as they can enclose a variety of mouthwatering fillings. With that said, you can still be very creative with rolls. 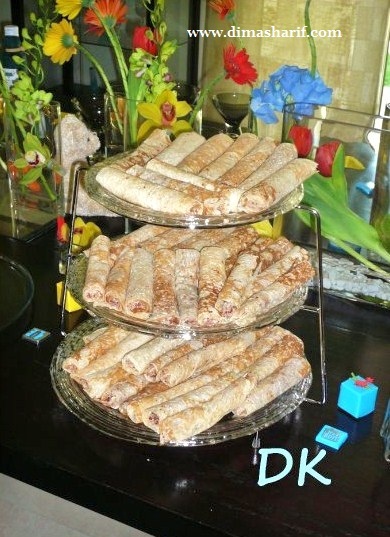 You can make these rolls using a variety of breads such as the Arabic thin Shrak bread, Tortilla, 1 fold Pita bread, crepes… etc. You can fill rolls with just about anything. Rolls are better casings for sauce and oozy foods such as bananas over chocolate with toasted hazelnuts for instance, they can be a parcel for any creation you can think of. Just mind you the more detailed the more time consuming the whole preparation becomes. Seared Tuna with pureed Avocado, sour cream, shredded cabbage, chopped parsley and a sprinkle of lime juice. Wrapped with Tortilla. Strawberry over honeyed mascarpone and orange zest in a crepe ….. etc. Tartines and rolls are also a very good way for re-purposing leftovers. If you have leftover roasts: beef, chicken, turkey…etc, then use these leftovers for to make succulent sandwiches. We all have last minute guests, and we all have days when we feel like being in the company of our friends without the big fuss. Tartines and rolls allow you to be generous, to offer your guests mouthwatering, beautiful and filling food, all while also offering them a night filled with socialising, catching up and fun. Most importantly a night where you are in the mood and form to actually hang out with them! 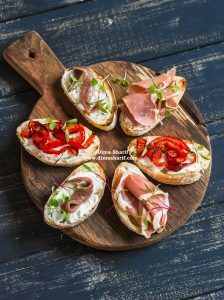 I love these sandwiches, and I have on many occasions made tartines and rolls for my friends, as we lounged at home, with drinks and fabulous music. The perfect catching up night! Let your hair down, play some music, make tartines and catch up with your friends. These are the simple Joys of life! Useful as usual Dima. We are really fond of tartines ourselves. And you know first hand how big we are on entertaining efficiently at home!